WooCommerce is great and is the best plugin for most WordPress e-commerce websites. However its shipping options can be quite limited. On the face of it, WooCommerce offers a good choice of delivery and shipping options – flat rate, free shipping, international flat rate, local delivery and local pickup. That’s not surprising given that it’s the world’s most popular e-commerce platform. Unfortunately this isn’t as good as it looks because a lot of WordPress online shops need more granular control over their shipping rates – particularly if they ship to multiple countries or regions with different postage costs. A lot of people get around this problem by using the official Table Rate Shipping plugin from WooThemes. This does the job, but it’s very expensive and over-complicated. It adds many different shipping options and is overkill if you just need to set different shipping rates depending on the customer’s country or region. Instead, I recommend a free WordPress plugin called Flat Rate per State/Country/Region for WooCommerce. This does what you need but no more. And it works well. 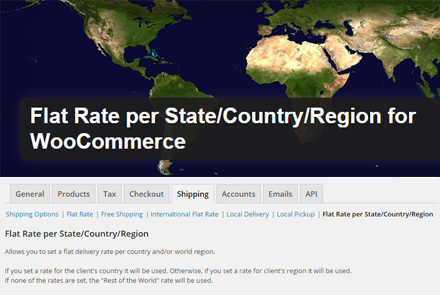 Find the ‘Flat Rate per State/Country/Region for WooCommerce ‘plugin in the WordPress plugin repository. (Plugins > Add New in the WordPress admin for your website). Install and activate it as usual. 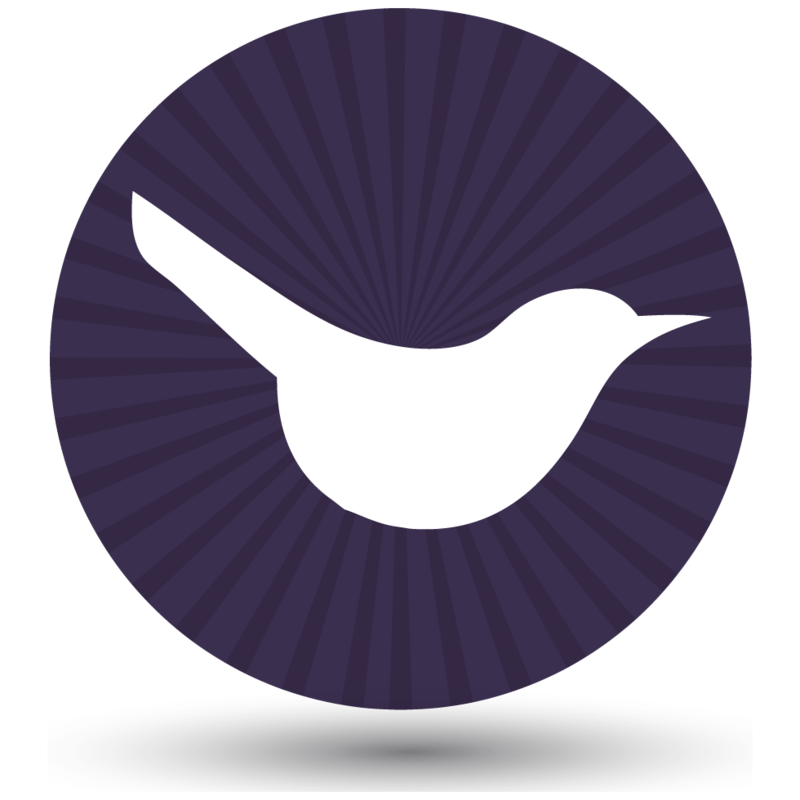 Go to WooCommerce > Settings > Shipping in the WordPress admin. You will see that the plugin has added a new link to the right hand side of the list of shipping options: Flat Rate per State/Country/Region. Ignore all the information about which countries belong to different regions – you probably don’t need this. Scroll down to the actual plugin settings and set up the plugin as required. It’s pretty self-explanatory and you can hover over the question mark icons for an explanation of each option. Note: If you use this plugin then it will control ALL your shipping options, replacing WooCommerce’s built-in Flat Rate and International Flat Rate options. This means that you need to disable Flat Rate and International Flat Rate and use the ‘Flat Rate per State/Country/Region’ section to add ALL your postage costs, including your domestic shipping rate and the overseas shipping. If you forget to disable the other shipping options then they will appear as alternate shipping methods in the checkout. But what about shipping to individual countries within the UK? TheFlat Rate per State/Country/Region for WooCommerce plugin is ideal for setting separate shipping rates for each country or region. However there are times when you want to break down your shipping zones further. For example you might want to charge different postage for England, Scotland and Wales – which WooCommerce treats as a single country (United Kingdom). Since writing this post, WooCommerce has introduced shipping zones into its core plugin. This gives extra shipping options without needing any further plugins, so it’s worth experimenting with. I’ve written a separate post about how to charge different shipping rates for each UK country. Have you used Flat Rate per State/Country/Region for WooCommerce plugin on your WordPress website? Or do you prefer another option for setting different shipping costs depending on the country? How have you changed your setup since the introduction of WooCommerce shipping zones? Please share your experiences below. Great article. Could you send a better image of the example? Hi Derrick, the problem with the image is that it's very tall and your browser will only show it the full height of your screen. When you open the image, right click on it and save it to your computer. You can then open it directly on your computer and zoom in to see it better. I am in Nigeria, is there a way i can set diffferent different prices for different states? Since I wrote this post, WooCommerce has added shipping zones to its core plugin. You can create a different shipping zone for each Nigerian state and assign different postage costs to each one. Hi Bola, I don't know much about how Nigerian areas are structured but it sounds like a similar issue to charging different shipping for the various UK countries and areas. The advice in my other article WooCommerce: How to Charge Different Shipping for England, Wales, Scotland, Ireland & Channel Islands might help you with this. It's not about Nigeria but might help! Do you mean as a % of the order? I haven't seen this but it's worth looking at the WooCommerce Table Rate Shipping plugin as you can be quite creative with it. Yes, you just need to create a shipping zone for your country and charge free shipping to this zone, and create other shipping zones for the other countries with paid shipping. You are intermixing and confusing Country with County. I have checked the article and I use the word 'Country' to indicate the country and 'Region' to indicate the county - it doesn't refer to 'County' at all because I use 'Region' for this instead. Hope that helps to clarify it.